Under socialising your puppy can lead to serious problems later down the track. 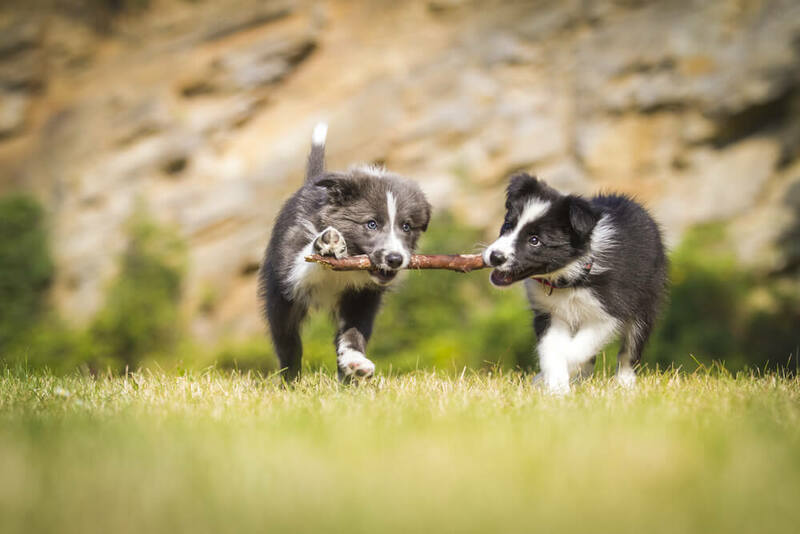 Pets Training and Boarding takes a look at socialisation and why it is a very important aspect in raising your puppy into a well-rounded dog. The importance of socialisation is one of the biggest topics in the dog world. It is by far one of the most misunderstood aspects of dog ownership that can leave owners scratching their heads at their dog’s sudden fear or concerning behaviour as a fully-grown dog. Fearfulness often masquerades aggression, so even though it might seem like a reactive dog is in an aggressive attack-mode, it’s possible that the display is based in fear, this is also known as fear based aggression. Dogs who have not been socialised from a young age often don’t have the coping skills to appropriately respond to stressful scenarios, so they react defensively in an effort to maintain a buffer from the “scary” stimulus, whether it’s a person or another dog. A dog that wasn’t exposed to handling exercises as a puppy likely feels uncomfortable with activities such as grooming. This can makes basic husbandry, like nail clipping, bathing and brushing challenging if not at all impossible. Many dogs are afraid of thunder and fireworks, so a lack of socialization isn’t to blame in those scenarios. However, dogs that are nervous about unexpected but everyday sounds like the whir of a ceiling fan or the beep of a fire alarm battery are at a disadvantage because of the prevalence of the noises. These dogs typically withdraw from the sound and display avoidance behaviours. One of the most important steps in socialization is gently introducing the puppy to different types of people including children, people in hats, men with beards, senior citizens with walkers etc. If a puppy doesn’t have the opportunity to meet friendly strangers at his/her own pace, he/she might react fearfully or aggressive – whether retreating or barking, and sometimes even biting. We all want our dogs to have doggie pals, but if a puppy wasn’t able to meet dogs of all ages and sizes at a young age, there’s a chance they may become aggressive as they grow and mature. Early dog-on-dog socialization is critical because it allows dogs to practise their doggie communication skills. Without exposure to the language of play, it’s easy for a dog to misconstrue a frisky nip as an invitation to fight. “Lack of socialisation is our number one problem that we deal with on a daily basis,” Kirsten says. “The cause of this is through people not understanding their dogs needs and requirements but most of all not having enough time around busy working schedules to exposure their dogs to new surroundings and environments. These are an invaluable source of information, socialisation and positive experiences for your young pup. They are also done in a secure and safe location with other puppies, so, the chance of picking up a nasty disease is minimised. At puppy-preschool your dog will learn some basic training, have the chance to run around with other dogs of all different shapes and sizes and also interact with other people with ample sights and sounds.